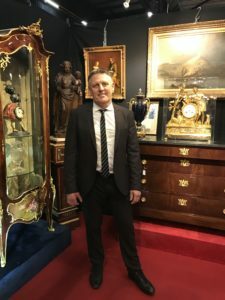 Marc De Leener has been an amateur and collector of works of art and antiques for many years, he buys estates, interiors of houses and castles and he chooses, after expertise, the most beautiful works of art for his gallery. These are selected for their quality, rarity and authenticity. In his selection he attaches great importance to the decorative and/or technical side of the objects he buys. He believes that a work of art must have an exceptional quality both in its structure and its realization and in the aesthetics that the artist wanted to give it.